Hospitality Marketing Concepts (http://HMCloyalty.com), the world’s leading provider of paid membership loyalty programs, today announced the launch of the Centara Privilege program via a partnership with Centara Hotels & Resorts, Thailand’s leading hotel operator (http://centarahotelsresorts.com). Hospitality Marketing Concepts (HMC) in collaboration with Centara Hotels & Resorts created an engaging loyalty program to meet the needs of its 33 hotels in Thailand and exceed the expectations of Centara’s prestigious client base. The Centara Privilege Club, available to join at https://centaraprivilege.com, provides exclusive lifestyle, dining and accommodation benefits, with attractive guaranteed savings, an available complimentary night’s stay, cash certificates and many other member-only advantages. As an exclusive perk, new Centara Privilege members also receive a one-year automatic upgrade to Silver membership level in the CentaraThe1 program, while renewing members receive a Gold membership level upgrade and 5,000 C1C bonus Points (https://www.centarathe1card.com/benefit). Centara Privilege features an industry-leading mobile app that lets members redeem digital e-certificates and eliminate outdated paper-based voucher booklets and plastic membership cards. HMC’s white-labeled mobile app platform for iPhone and Android delivers targeted mobile push notifications about hotel promotions based on geo-location, preferences and purchasing behavior. 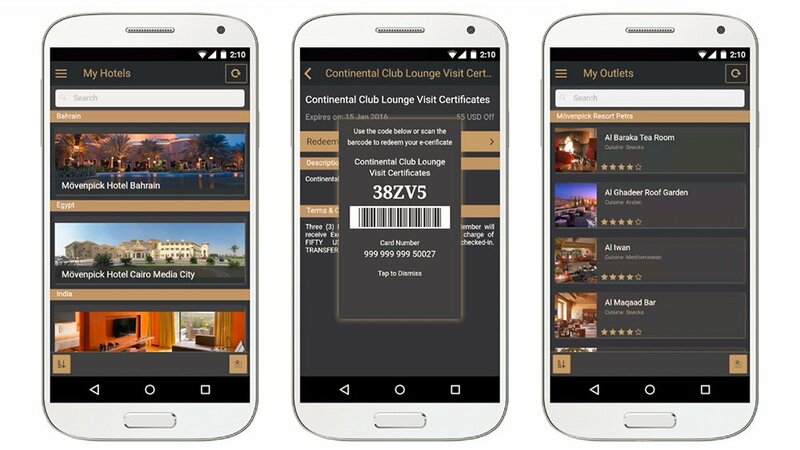 The innovative app allows guests to make membership purchases, renewals, and mobile hotel bookings. HMC’s proprietary technology platform also streamlines hotel operations by providing detailed tracking with two-way POS/PMS integration, while improving analytics, intelligence and security controls. Members of Centara Privilege will receive exclusive privileges at participating Centara Hotels and Resorts properties throughout Thailand. From booking a stay with exclusive rates to indulging in premier dining options, Centara Privilege members enjoy impressive benefits and increased recognition. Members also receive access to CLUBHOTEL (http://www.clubhotel.com), HMC’s exclusive global network of four- and five-star hotels. CLUBHOTEL provides reciprocal benefits and recognition to a worldwide membership base. Participating properties receive room spending from direct bookings and F&B spend from their local markets while simultaneously gaining exposure to CLUBHOTEL members around the globe. Centara Privilege membership is available to join online: https://centaraprivilege.com/JoinNow. Centara Hotels & Resorts is Thailand’s leading hotel operator. Its 68 properties span all major Thai destinations plus the Maldives, Sri Lanka, Vietnam, Laos, China, Oman, Qatar and the UAE. Centara’s portfolio comprises six brands -Centara Grand Hotels & Resorts, Centara Hotels & Resorts, Centara Boutique Collection, Centra by Centara, Centara Residences & Suites and COSI Hotels – ranging from 5-star city hotels and luxurious island retreats to family resorts and affordable lifestyle concepts supported by innovative technology.It also operates state-of-the-art convention centres and has its own award-winning spa brand, Cenvaree. Throughout the collection, Centara delivers and celebrates the hospitality and values Thailand is famous for including gracious service, exceptional food, pampering spas and the importance of families. Centara’s distinctive culture and diversity of formats allow it to serve and satisfy travellers of nearly every age and lifestyle. Headquartered in Newport Beach, Southern California, HMC is the world’s leading full-service loyalty solution provider for more than 1,250 four- and five-star hotels and luxury brands. The company’s offerings include paid membership loyalty programs, white-labeled points-based loyalty programs, booker’s programs, meetings platforms and corporate incentive programs. HMC leads the industry in new proprietary operational technologies, state-of-the-art Customer Relationship Management (CRM) systems, and highly detail-oriented personalized service. HMC provides a turnkey solution to hotel clients, from the initial concept and design, to IT and mobile app deployment, program management and ongoing marketing and customer service. HMC also operates two proprietary global hotel loyalty networks: CLUBHOTEL and VOILÀ Hotel Rewards, further improving our client’s business opportunities through the world. VOILÀ Hotel Rewards (http://voilahotels.com) is the world’s number one loyalty program that unites a network of over 25 select global hotel brands. VOILÀ’s points-based frequency guest program provides recognition benefits and Award Night room redemption opportunities at participating network hotels. VOILÀ offers hotel- or group-branded loyalty solutions for our partner hotels, with VOILÀ acting as the supporting brand. VOILÀ’s global presence also allows members to earn and redeem points across a wide variety of redemption partners – including airlines, retail merchants and charities. A selection of HMC’s clients includes Hilton Hotels & Resorts, InterContinental Hotels, Kempinski Hotels, Radisson, Mövenpick Hotels & Resorts, Fairmont Hotels and Resorts, Starwood Hotels and Resorts Worldwide, Shangri-La Hotels and Resorts, Centara Hotels and Resorts, StayWell Hospitality Group, Cobblestone Hotels, Othon Hotels, and Swiss International Hotels and Resorts. HMC is a global company with offices in more than 50 countries including Spain, Poland, Portugal, Australia, Singapore, Hong Kong, China, UAE, Egypt, Brazil, Canada, United Kingdom and the United States. More information about HMC may be found at http://HMCloyalty.com.